My first experience of Panama, sort of, was when I had a 4hr stop over when flying from Quito to Cartagena. ( Yes, do your research as it was cheaper for me to fly through Panama than direct to Cartagena) I love Panama airport. You can leave me there for the day. It’s about half a km long, well it seems like it is, with duty free shopping on both sides. Shopping bliss. When I actually flew into Panama to stay it took me 2hrs to get through immigration due the arrival of about 8 flights at the same time. As I flew in, I had to have a tourist visa. This I did not know until I was leaving Colombia and was asked if I had one at Cartagena Airport. I purchased mine there at a cost of approx. $5 U.S. They cannot be purchased at Panama City Airport. You will be turned away if you don’t have one. You have been warned. When coming into Panama via Costa Rica buses will issue you with one. Most nationalities require on onward ticket but I have not heard of anyone being asked so show proof of this. If asked, show a credit card. Panama City was great. I hired a taxi driver that does private tours and headed for the Panama Canal and the Miraflores Locks not far out of the city. We timed it right and I got to see an oil tanker come in and go right through. I think my photos of this are some of the best I took. Then to the old city. Old buildings, bougainvilleas in flower hanging down, the sea, the view over to the new city. It’s a delightful place to visit. There is also a mariner nearby on an island which has a road built over to it and this is very new with more building still going on. It was full of grand yachts and boats. Many where from the USA. If you can go to one of the resorts like Playa de Camerron, while in Panama, then do so. I did and I don’t really think for what I got that it was expensive. The Panamanians certainly know how to look after you. DAVID is also a popular visitors spot and a good place to base yourself in order to see some of the smaller rural towns. I stayed at the Purple Hostel. Lovely place, purple building, couldn’t miss it. From here I did a day trip out to Boquete. There are lots of retirement homes that belong to Americans here and I can see why. It’s a very nice rural town with hostels and activities to do like river rafting. 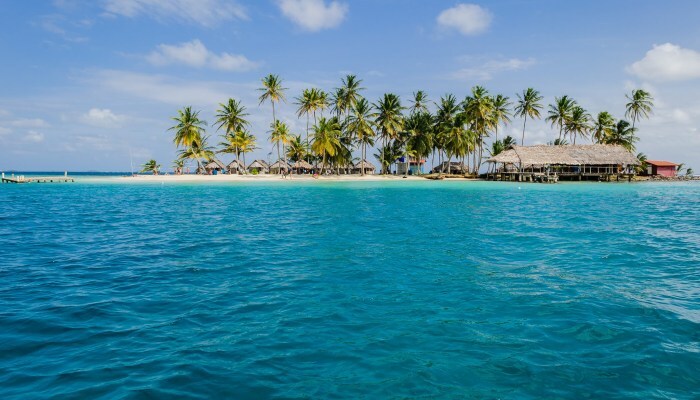 Bocas de Toro is another popular spot to go. It’s on an island and is growing more popular by the year as the place to visit. And there is the area of San Blas to and not forgetting the city of Colon on the Caribbean coast either. Panama has some lovely places to holiday and fares are cheap from the USA. Carry your passport on you. One of my buses was pulled over by police obviously looking for someone and I was asked for my passport. Luckily I had not packed it in my backpack. Take a ‘chicken bus’ on a day trip to a smaller town. They are safe despite what some people say. On getting from city to city, the coaches for these trips are comfy. If you fly in to Panama don’t forget that all important tourist visa. Your airline should be able to sell this at your departure point. Ask if they don’t mention it. Some reports say you can purchase it at the airport on your arrival. You could not do this last year. When crossing in from Costa Rica you will have to show onward ticket or sufficient funds. A credit card is usually sufficient to keep them happy. Take a guided taxi tour while in Panama City, it’s the best way to do it I think, especially if you have limited time in Panama City. Taxi drivers can be trusted here and most speak English.